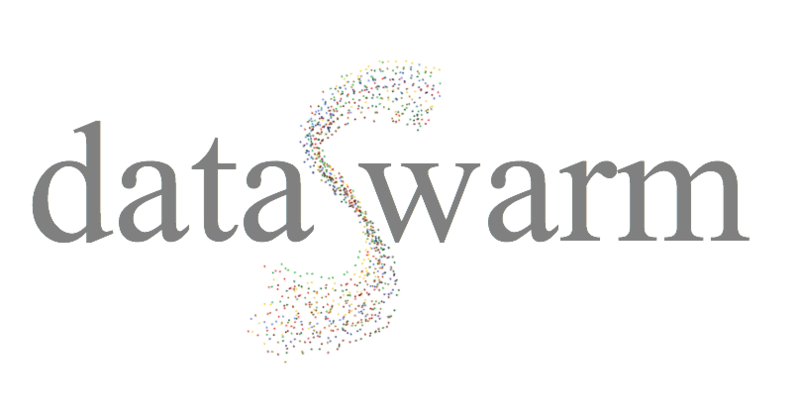 The genesis of the DataSwarm Analytic Engine was when we were asked by the BBC to build a system that could “find the Zeitgeist”. This was all very well, the problem initially was “what is a zeitgesist”, never mind how to find one. Zeitgeist is a German word, it literally means “time ghost” or more usefully “the spirit of the age”. Wikipedia defines the Zeitgeist as “the intellectual fashion or dominant school of thought of a certain period”. Google Zeitgeist is a report of the fastest changing and most popular online searches. After a bit of analysis, we came to the conclusion that there were multiple Zeitgeists at any one time, depending on what topic you were looking at, and that it changed over time. We also realised that Zeitgeists could be nested, i.e. a major Zeitgeist could have a series of minor Zeitgeists associated with it, at least temporarily. So for example something that was a “spirit of the age” (like, say, the US Elections in 2016) would have a series of next level ZeitGeists (the unexpected success of the “alternative to mainstream” politicians in both parties) and then a next level to that (the rise and fall of the weekly sayings of Donald Trump). Arguably of course, the “top level” Zeitgeist here could be the “alternative to mainstream politicians” theme, the US Elections are just one of many canvasses it is being played out on. ….a “unit of culture” (an idea, belief, pattern of behaviour, etc.) which is “hosted” in the minds of one or more individuals, and which can reproduce itself, thereby jumping from mind to mind. A successful internet Meme can infect a lot of minds quickly and spread like an epidemic – i.e. “go viral” in online-speak. In other words, in looking for Zeitgeists we were looking for the equivalent of a sort of mental virus, which “infects” minds – so, looking at virus behaviour in a bit more depth we quickly realised that most virusses don’t tend to have epidemic phases, and even those that do tend to only do it every so often, under certain favourable conditions. Everybody knows what a Virus looks like, so what does a Zeitgeist look like? starting with the idea of a meme being a unit of culture, it was clear that the unit was composed of cultural artifacts – specific words, or images, or sound / music (music memes are called earworms, which also were originally a German concept – the ohrwurm). After thinking about it a bit, we decided to use the concept of Memetics as a starting point to address the problem. Memetics is a theory of mental content based on an analogy with Darwinian evolution, originating from the popularization of Richard Dawkins’ 1976 book The Selfish Gene. (i) The meme, analogous to a gene, was conceived as a “unit of culture” (an idea, belief, pattern of behaviour, etc.) which is “hosted” in the minds of one or more individuals, and which can reproduce itself, thereby jumping from mind to mind. (ii) Memetics as an approach akin to evolutionary models of cultural information transfer. (iii) A meme’s success may be due to its contribution to the effectiveness of its host. Memetics sidesteps the traditional concern with the truth of ideas and beliefs. Instead, it is interested in their success. (iv) Groups of memes that are often found present in the same individual. These “memeplexes” group together because memes will copy themselves more successfully when they are “teamed up”. It’s not just us – others have applied memetics for areas such as viral marketing, cultural evolution, the history of ideas for example. The key is that the approach to analyse them is built upon an approach that treats semantic units of culture as self-replicating and mutating patterns of information that are assumed to be relevant for scientific study. In other words, we didn’t need to know what the zeitgeist was, we just had to look for the patterns. This gave us a basis for thinking about the “Zeitgeist” and more importantly a starting set of assumptions that we could take to test for it and analyse it’s change over time.